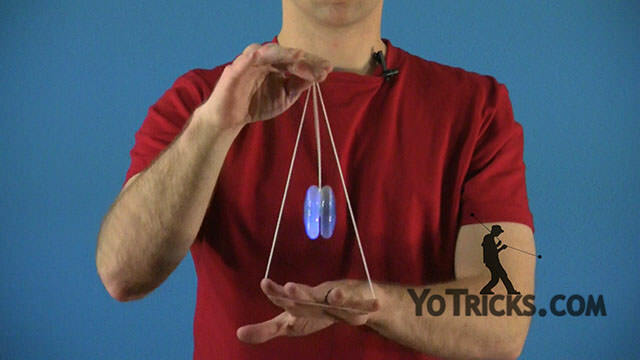 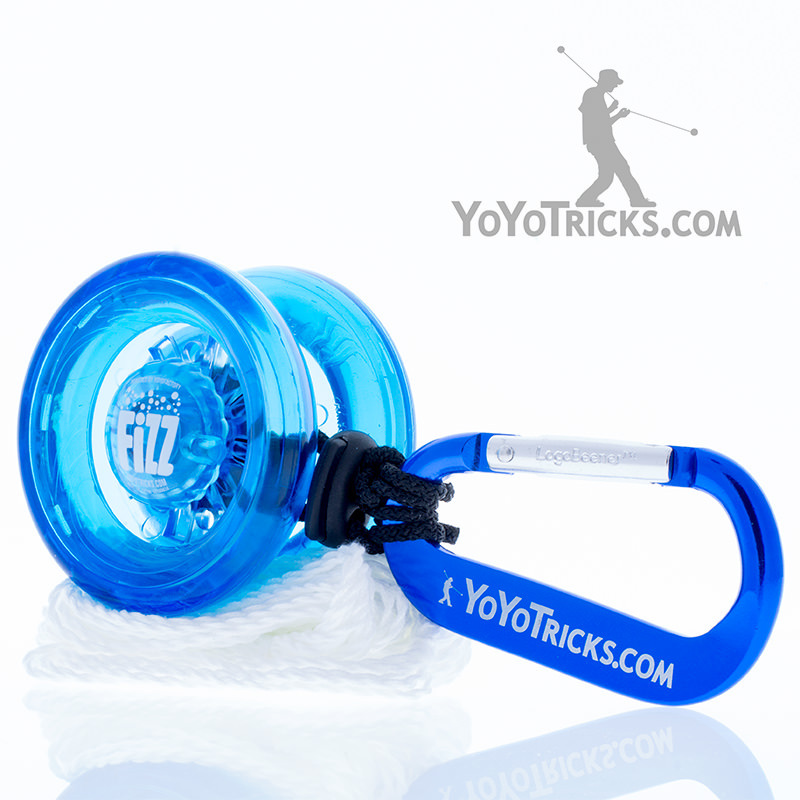 Itzy-bitzy Baby yoyo trick video. 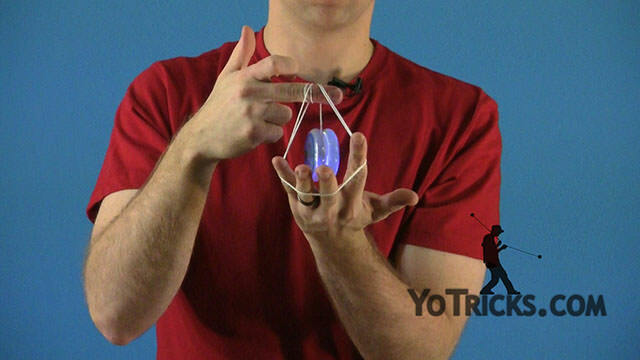 Itzy-bitzy Baby Yoyo TrickThere’s a lot of different tricks on the classic variation of Rock the Baby, this one is called the Itzy-bitzy Baby. 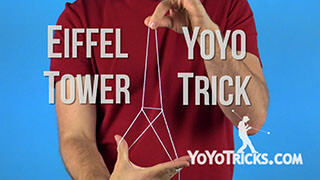 It’s also pretty easy. 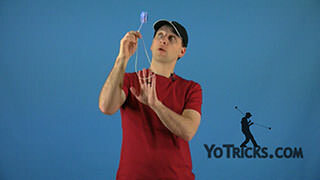 Again, it’s a picture trick, so to learn this trick it’s usually easier to let your yoyo hang down at the bottom of the string without spinning. 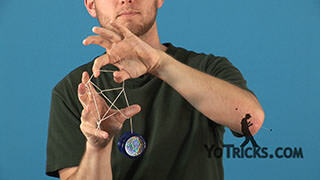 And for this one you take your opposite hand and you just roll it right into the string, then take your yoyo finger and roll it into the string. 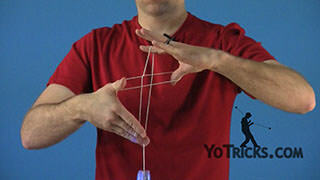 Take your opposite hand and roll it into the string again. 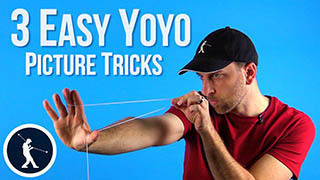 Take your yoyo finger and roll it into the string a second time. 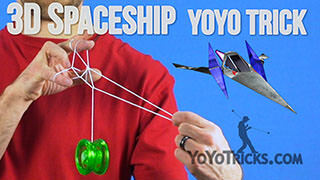 And finally take your opposite hand and you want to just cup it right underneath the yoyo. 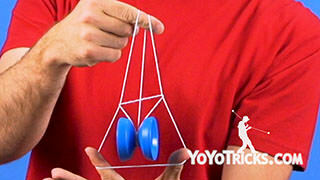 As you can see it makes a half-size cradle. 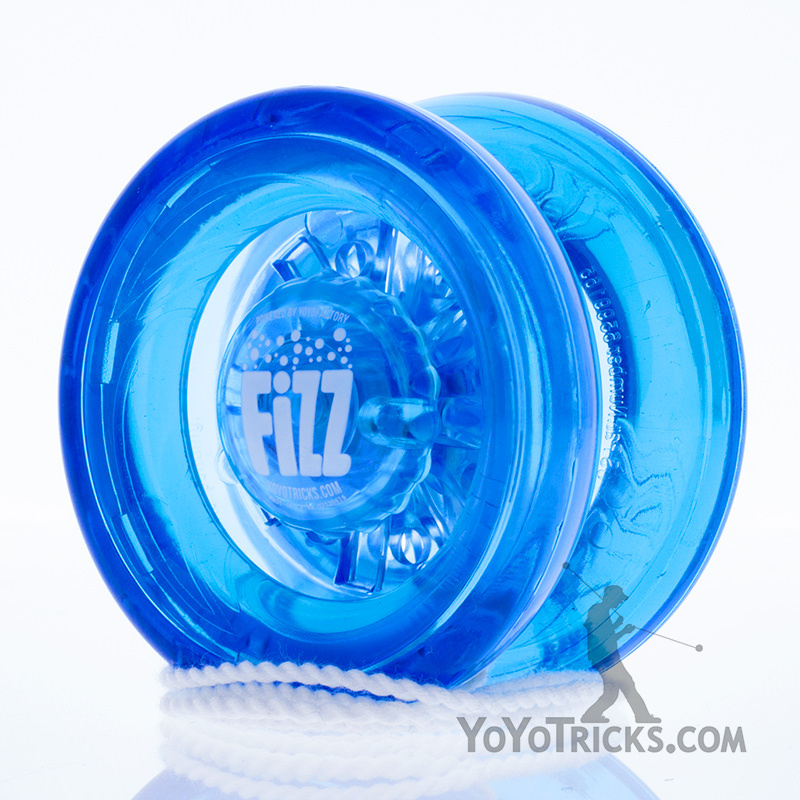 That’s the Itzy-Bitzy Baby. 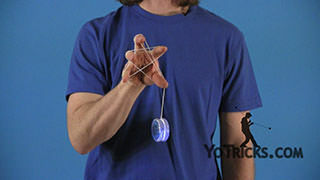 At full speed the trick looks like this. 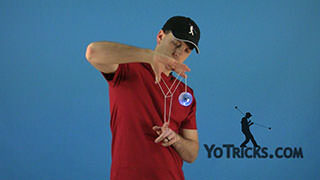 You want to make sure that when you dump the yoyo out you don’t do it through the cradle you want to do it out the back side. 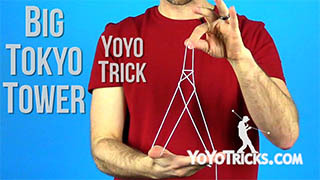 That will make sure the trick comes off smooth every time.